There are no two ways about it. I love the looks of the BMW 420i Gran Coupe xDrive. For me, it is one of the best-looking cars in the BMW range and offers a stylish, sporty alternative to the saloons that have formed the mainstay of the German brand’s line-up. So what has life with the Gran Coupe been like? Here are the scores on the doors. The Gran Coupe is a choice you make that isn’t based on costs. The 3 Series saloon is cheaper to buy and run, while the 3 Series Touring offers a more flexible set of family wheels and is still cheaper than the Gran Coupe. 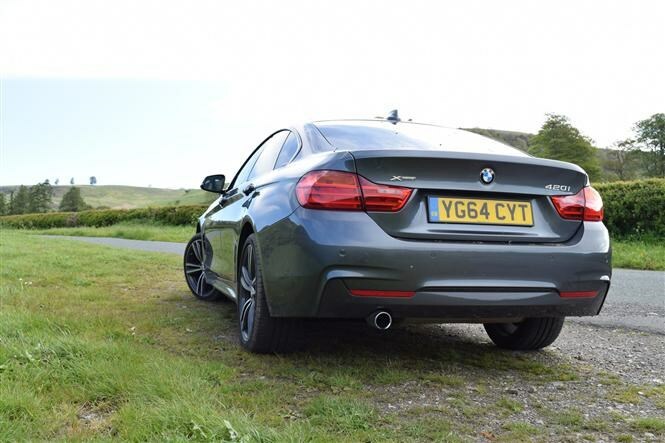 This petrol-powered version is not a bad compromise between performance and fuel economy, though for anyone covering a lot of miles the 418d or 420d is the better choice. I’ve managed low- to mid-30s mpg on average, though the official combined fuel economy figure is 43mpg. It costs £1,500 to add xDrive and the automatic gearbox to a 420i, and there isn't a lot of difference in fuel economy (a single mile-per-gallon, in fact) so it's money I would spend. Its design is elegant and stylish, yet the 4 Series Gran Coupe isn't compromised thanks to a large boot opening - a bit like a hatchback. It isn't particularly generous in outright volume, however, because the steeply sloping bootline restricts the height of items you can to load. Dropping the rear seats means sliding in long packages (like flat-pack furniture) is easily doable. 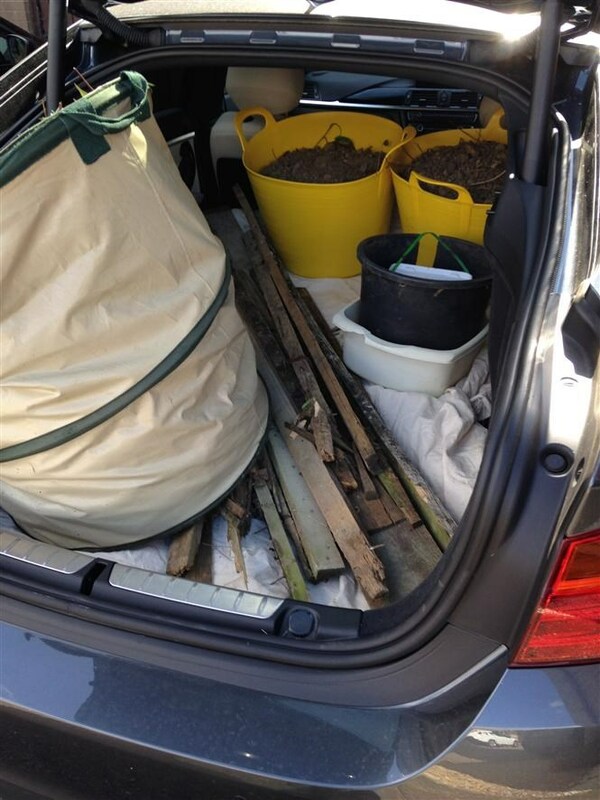 I’ve even managed to fit in 1.8-metre gravel boards by making use of a small amount of space between the front seats. 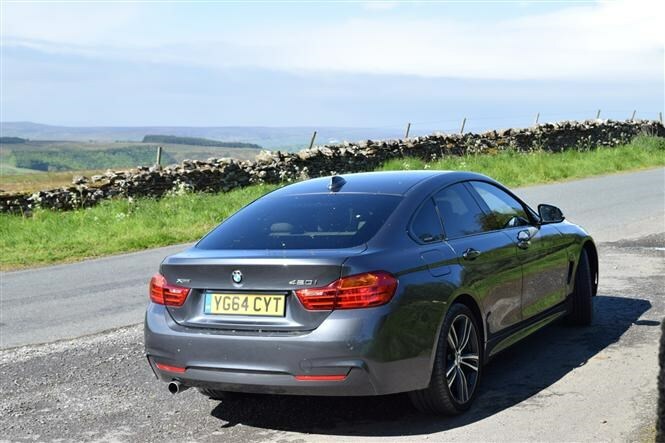 For most buyers, the 3 Series Saloon and Touring make more sense as a complete package. So it’s no surprise that both out sell the Gran Coupe. That is to miss the point, however, as in my mind the 4 Series Gran Coupe is the most elegant and head-turning car in the BMW range. I’d also stick with the 420i xDrive given the minimal difference in running costs to the version without the four-wheel drive system, though I’d more than likely use Sport mode most of the time. It gets the best out of the engine and makes for a more satisfying driving experience. The staple choice of so many executives is the BMW 3 Series saloon when it comes to company-provided wheels. The tax system also favours diesels because its lower emissions are kinder to bank balances than petrol engines. What’s more, the lower power versions emit the least amount of CO2 so it’s these that secure the ticks on the choice list. With image being an important consideration, choice of trim plays a key part as the right one not only secures the right looks but also certain critical kit such as Bluetooth connectivity for smartphones, sat-nav and stop/start systems to help reduce emissions and, in turn, Benefit-in-Kind bills. Take all that and turn it into a set of wheels, and what rolls forward is the BMW 318d M Sport with six-speed manual gearbox. Yes, some execs may opt for less power or a slightly lower trim level, but the attainable and yet aspirational choice remains this. If that is saloon of choice than which version would have these suited-and-booted business types checking their car keys in for a 4 Series Gran Coupe? 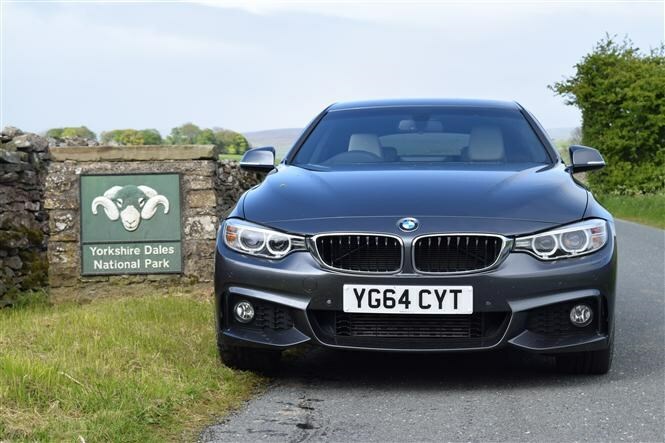 The engine choices don’t go as low in terms of power as the 3 Series saloon, so entry-level choice is the 418d (3 Series has a 316d option). It’s a bigger car plus it’s more expensive so buyers are unlikely to feel justified purchasing the lower-powered model. Even selecting the 418d without xDrive (comes with four-wheel drive) emissions are pegged at 121g/km of CO2 on the SE version. That means for the tax year 2015/2016 it sits in BIK band 22, so even the cheapest diesel version (418d SE Business Media) will cost a 40% tax payer £232 per month. While the SE version offers a decent amount of kit (especially with the Business Media package that includes a larger display and real-time traffic information), the M Sport adds the dynamic looks that so many buyers want especially on the premium brands. The difference in price from the SE is a not-insignificant £3k and for those who pay company car tax you are looking at an extra £40 with £272 being deducted a month from your pay packet. The real challenge with this is that you are into BMW 5 Series saloon territory. 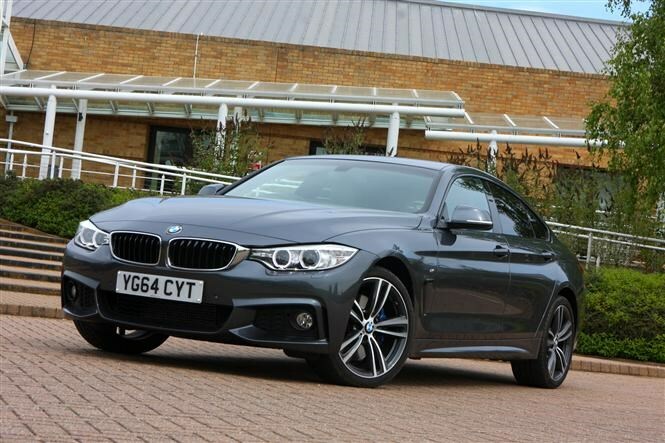 The 520d M Sport costs £259 a month and you secure a bigger car and more kit as standard. The right choice for company car drivers then? 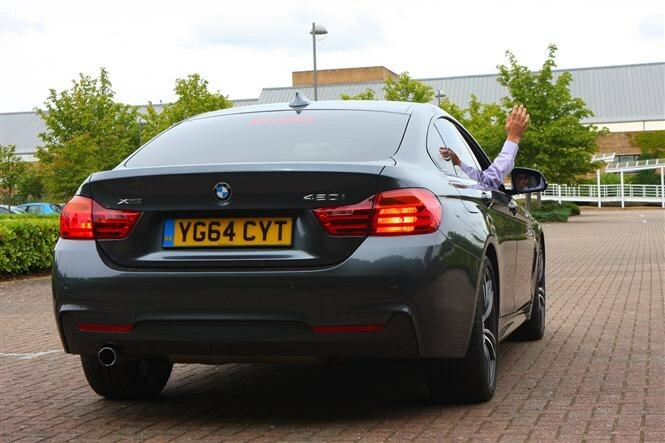 There is no two ways about it but the 4-Series Gran Coupe doesn’t make the best choice for company car drivers. 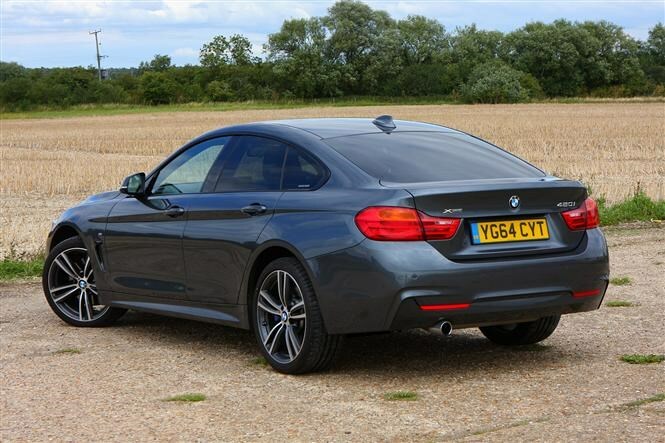 The 3 Series saloon is more cost-effective and the larger 5 Series saloon can deliver more car for less cash. 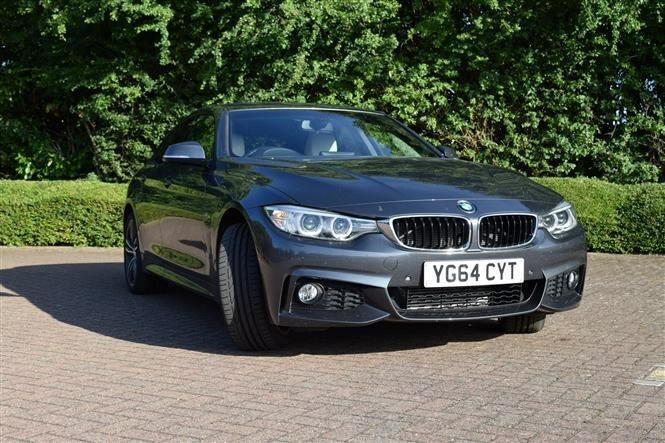 If the looks and practicality win you over and you can find the 4 Series on your user chooser list, then the pick of the bunch is the 420d SE but choose it with the Business package to secure a host of kit that makes ownership a little bit special. Fifth report: Coupe, Saloon or Estate? The saloon bodystyle was always the default choice as far as compact executive wheels were concerned but over the past few years more and more different versions have rocked up. Given the sheer popularity of the BMW 3-Series saloon does the choice of an estate (or Touring in BMW speak) or the arrival of the 4 Series Gran Coupe now provide a better choice to the company car driver? Time to compare. The most cost-effective version of the bodystyles thanks to the lowest initial purchase price and the best running costs. But just how big is the difference? 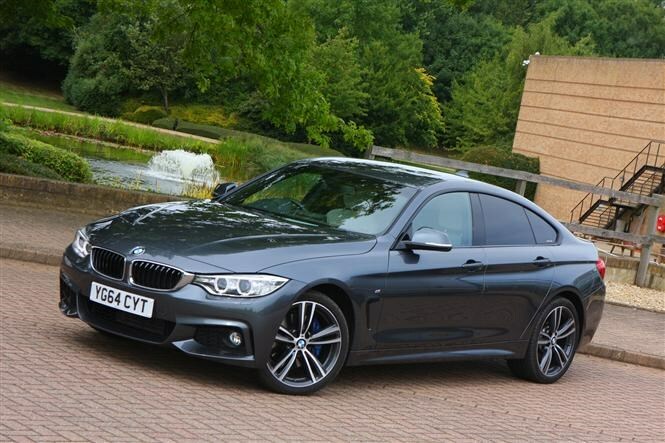 Entry-level saloon is the 318i SE at £25,160, while the estate version is £26,405 (difference of £1,245) but the entry-level version on the Gran Coupe is the 420i SE at £30,275 - that’s a much more significant £3,870 more than the saloon. Best bet for running costs are the diesel versions and no surprise these are the most popular especially as company car drivers form the majority of buyers. 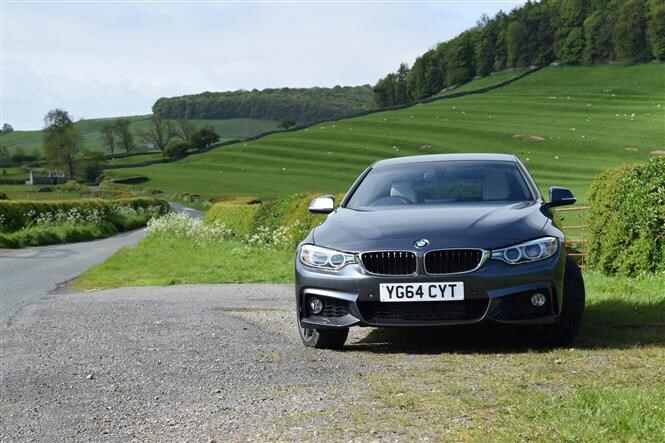 Taking the popular 320d M Sport version with manual six-speed gearbox, the saloon kicks in with an official mpg average of 61, while the Touring manages a slightly less frugal 58 and the 420d Gran Coupe M Sport weighs in at 57mpg. So truth be told, not a lot in it. Boot space is a good barometer of a car’s ability to handle the practical tasks that every family has but so is its shape and any other features that make ownership a pleasure such as rear seats that fold flat, etc. Here the Touring bodystyle has a strong offering with 505 litres of boot space, plus great touches such as rear seats that spilt and fold 40/20/40 (ideal for skis or golf clubs), load-securing lugs and luggage net. The saloon manages an impressive 480 litres and you can pay extra to get the 40/20/40 spilt-folding rear seats, you also get the same load-securing lugs, luggage net and a couple of handy storage areas. The Gran Coupe matches the saloon’s storage area of 480 litres plus it features 60/40 spilt folding seats as standard with the option of the 40/20/40 rear seat set-up. 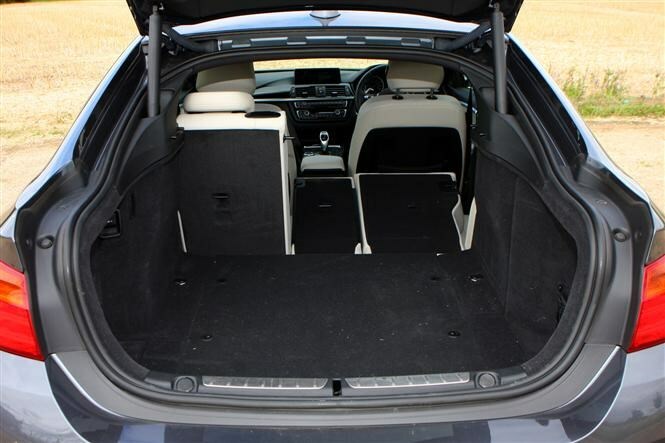 However, it’s a wider and bigger boot opening compared with the saloon making it easier to load bulky items. In terms of practicality and running costs there is not a lot in it. No great surprise really, given that the running gear and cabin interiors are all derived from the same kit. The saloon is cheaper to buy than the others but is the weakest when it comes to practicality. That can make a difference if you are a young family needing to load kiddies, push chairs, shopping and other clobber. It’s not just getting everything in but the ease of doing it especially when your arms are full of child. So that rules out the saloon. The estate version does have the bigger boot volume but given its sloping bootlid it’s not a whole lot more practical overall. I am a fan of the design of the Gran Coupe and given it has proved its worth for both running costs and as a family car, I’d fork out the extra for the Gran Coupe bodystyle. I’m really loving the shape of the Gran Coupe and reckon it’s one of the best-looking cars in the BMW range. The saloon is a head-turner too but the obvious restriction of a saloon’s boot is less its actual capacity and more its shape. Add in the fact that rear seats can’t always be dropped and when they can the opening into the cabin can be too restrictive. In short, try loading a bicycle into a boot of a saloon car and it feels like you’re trying to thread it through a letterbox. So, the downside of a saloon is that it doesn’t major on practicality but that three-box shape is classically good-looking. So can the svelte, swooping lines of the Gran Coupe deliver both the visual appeal and practicality of a hatchback. First impressions are favourable. The boot lid raises up like a hatch with a lovely big opening into the space below. The rear seat backs can be lowered to create a large load space and even longer items can be partially threaded through between the front seats. So far so good. The issue arises when loading tall items into the boot space. The height between boot floor and car ceiling is restricted so where a lot of hatchbacks can take my garden waste bags no problem, I have to flatten them to get them in the BMW. I also have to remove both rear parcel shelves (one that sits behind the rear seats and the other attached to the lower rear windscreen) but it is a very easy and quick job to do this. Height restriction aside, the width and length of the boot space means the Gran Coupe turns into a decent, handy carrying weapon. I managed to get a lot of boxes in it for single trips and on a separate occasion two-metre lengths of weather boards slotted into the car (squeezing it in between the two front seats). It’s not the last word in practicality but it’s a great compromise between a fab-looking car that proves it can also be hugely practical. 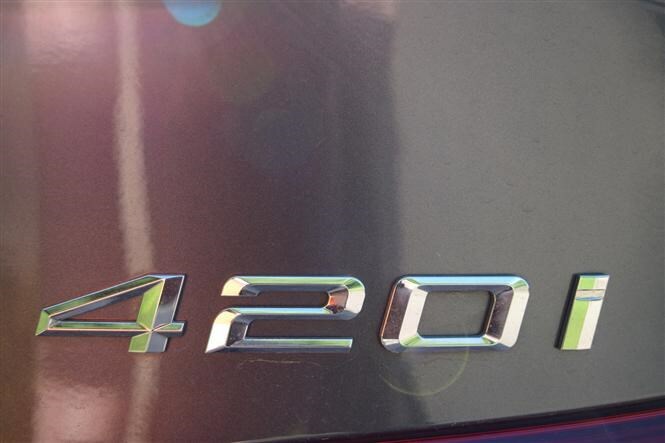 I have found driving the petrol-powered 420i something of mixed blessing. On one hand I like the free-revving nature of the engine, the smoothness and lovely way it builds power from low down. The frustrating thing is how the power runs out at the top end to be replaced by a shouty, revvy engine. No building to a powerful crescendo here. The best bet with the 420i is to surf the mid-range power and let the auto switch up a gear before the revs get too high. Or use the manual mode and hit an up change with the gear shift paddles mounted behind the steering wheel. 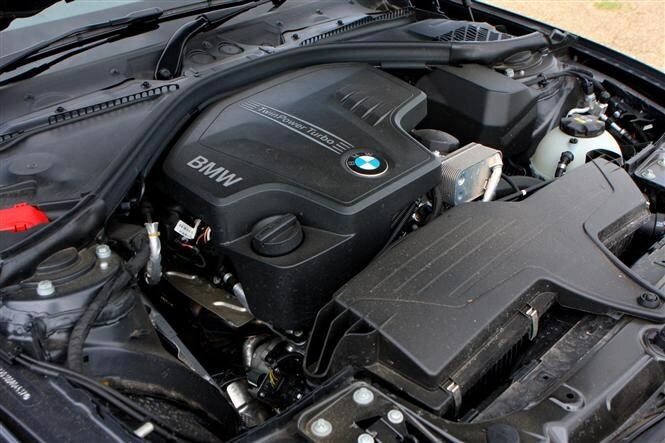 Thing is, BMW also does a very lovely 2-litre diesel, so is this a better bet? On paper it offers more pulling power with 380Nm of torque compared to 270Nm for the petrol. On the road it means the diesel feels like it is pulling harder and sooner than the unleaded version. But it also runs out of puff quicker. 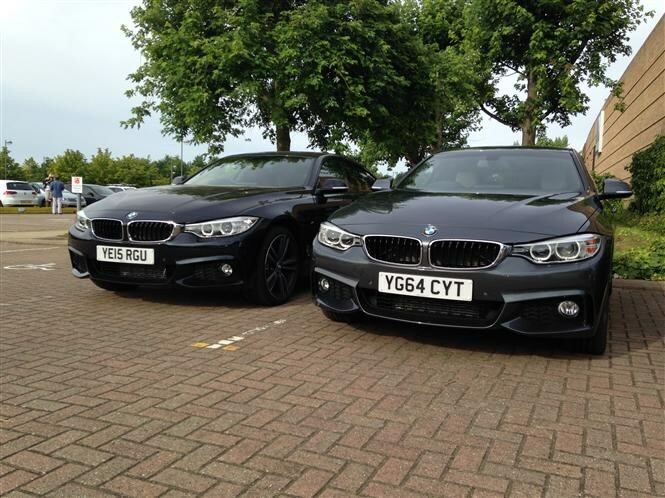 The surprise is that both make the same power – 181bhp. With the same eight-speed automatic gearbox running costs do vary though. The diesel emits 131g/km of CO2; my petrol version coughs out 152g/km. Fuel consumption on the petrol is a claimed 43mpg, while the diesel trumps it with 56mpg. The diesel is the heavier car at 1,600kgs compared to the petrol’s more svelte 1,505kg. Factor in the weight of the xDrive system and the standard rear-wheel drive versions improve running costs again, with the standard 420i Gran Coupe emitting 146g/km of CO2 and managing a claimed 44mpg. So road tax cost is £145 per year versus £180, while the official stats states one mpg less for the all-wheel drive version. On that evidence there’s not a lot in it in terms of running costs and same applies to purchase price where both versions sell for virtually the same cost. 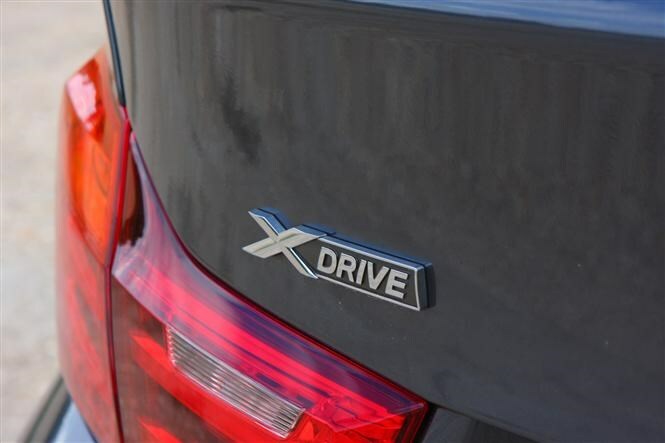 So adding xDrive makes sense - particularly if you live in rural areas with the added traction the system can supply in slippery conditions. I’d stick with petrol because my short daily commute won’t suit a diesel - the engine won’t get up to temperature and won’t achieve the better fuel consumption figures. If only it had a bit more go at the top end it would deliver a more satisfying driving experience, but that would mean spending another couple of grand to step up to the more powerful 428i. It can sprint from standstill to 62mph in 5.8 secs, which is nearly two seconds quicker than the 420i, but you can’t get it with xDrive. In an ideal world we would have a car for every occasion: a family car for smooth, comfortable trips; an Eco car to save on fuel and money; and a sports car for those rare summer days when the roads are dry and clear. BMW has tried to realise that ideal for Gran Coupe owners by fitting it with different driving modes. 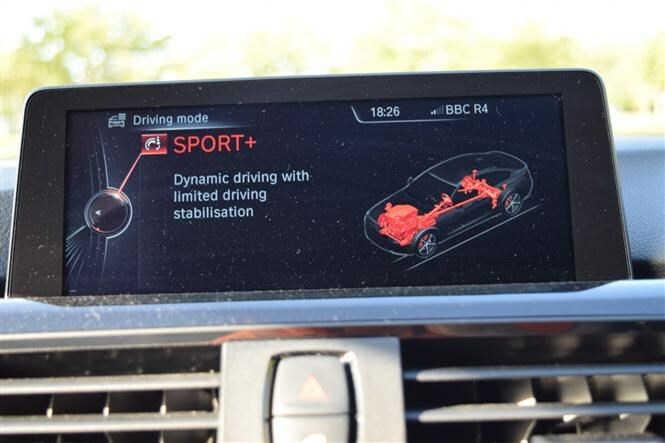 BMW calls it ‘Driving Experience Control’. 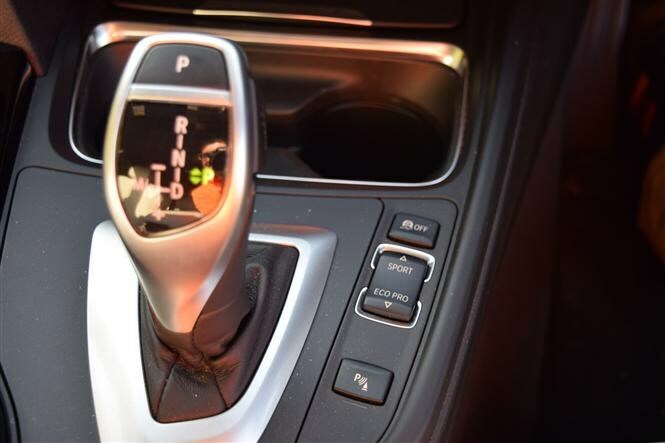 Yes, it is still the same engine and gearbox, but by altering throttle response, gear change timing and other associated functions on the 4 Series Gran Coupe, the Driving Experience Control aims to deliver a different drive depending on mode. 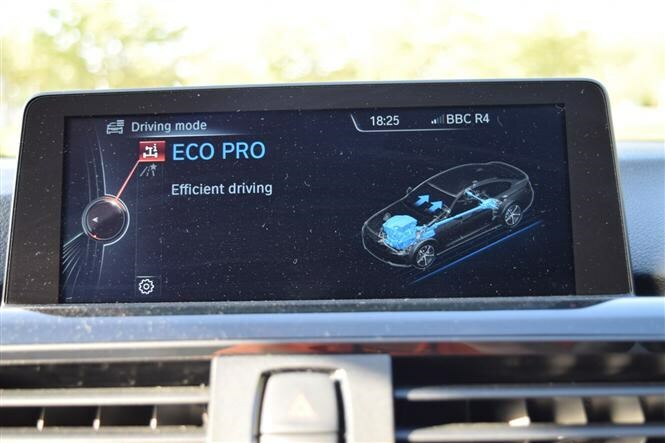 In Eco Pro mode the gearbox shifts up early, throttle response is muted and it reduces the demand the air con places on the car. Comfort mode is the vanilla alternative. It is reasonably responsive, reasonably frugal and reasonably reasonable so hence why it is the default mode. Gear shifts are kept to a minimum to help deliver a more refined ride. 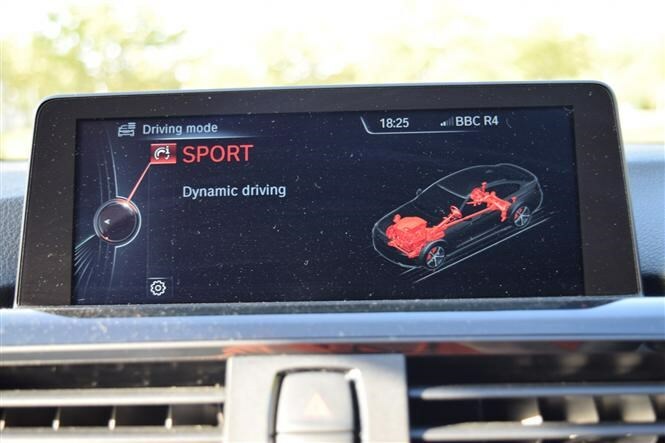 Find yourself in need of getting a shift on and there’s sport mode. The throttle is more responsive and the gearbox holds on to a gear for longer. Finally for those who harbour dreams of Formula One fame, there is a Sports Plus mode. This dials down some of the electronic stability and traction control intervention so the driver can exploit more of the car’s performance. To be honest, day-to-day it’s not a mode I use much. I’ll be seeing how effective these driving modes can be and especially what fuel saving the ECO mode can offer. Perhaps this petrol version can be economical enough to make choosing a diesel redundant. Welcome to the new shape of compact executive transport – this is the BMW 4 Series Gran Coupe, which is ideal for those looking for something different to the traditional 3 Series saloon. We've just welcomed this 420i M Sport to the Parkers fleet. If you are not familiar with the firm's new structure and naming policy you can read all about the 4 Series Gran Coupe here. In contrast to the classic 320d Parkers ran earlier, this time we are going petrol power with the 2-litre turbocharged engine mated to an eight-speed automatic gearbox. However in our 420i Gran Coupe power is distributed to all four wheels to maximise traction and enhance grip, especially in slippery or wet conditions. The only forseeable downside is the increase in emissions and fuel consumption. There is a host of options available and the Parkers 4 Series Gran Coupe has been well kitted out, including the Comfort Package which adds electrically adjustable front seats with memory function, tinted rear glass and extra cabin storage. 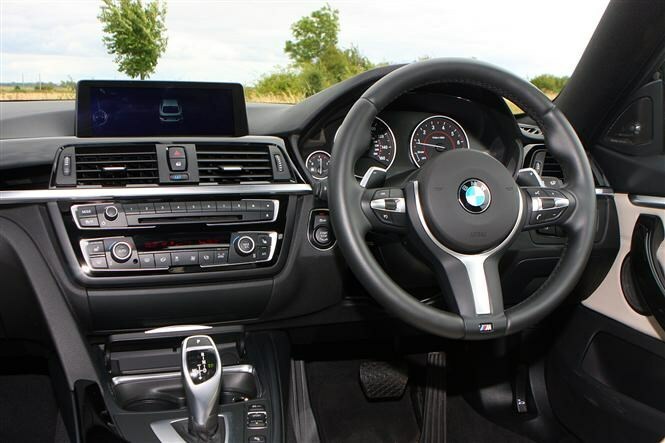 The M Sport Plus Package adds 19-inch alloy wheels, uprated brakes and a premium sound system while the BMW Professional Media Package provides sat-nav, real time traffic information and online services. The upshot of all this option ticking is the price has climbed from the standard £33,645 to £40,530. There's lots of kit to test though, so we'll find out what's worth your cash and what isn't. Likewise, the drivetrain configuration will come under scrutiny too, as it'll be interesting to see how close we come to the 43mpg official figure.